Happy Black Friday! I can't believe Thanskgiving has come and gone. I am stuffed full of so much delicious food (all the Pure Barre I put in the past week can't compare to all the food I've eaten...). My favorite Thanksgiving treat? Chocolate layer cake, please and thank you. My mom and I are not extreme Black Friday shoppers but we do love to go out and do a little Christmas shopping, which is probably what we will do today. Don't feel like the crowds? 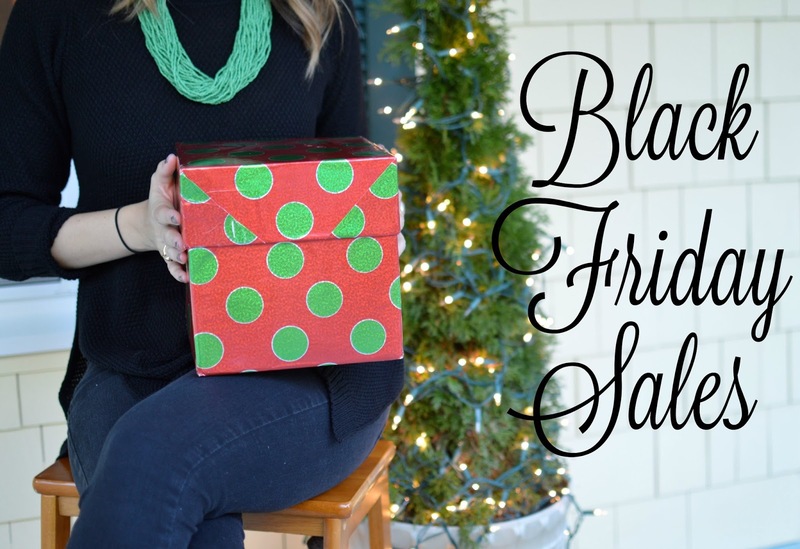 You don't have to leave the comfort of your home to check out the good sales - you can deck the halls, eat leftovers, snuggle in your Christmas PJs and do a little online shopping at home. I've already ordered these Tory Burch boots -- I needed a new pair of black boots and decided now was the time to buy them as they're 40% off! There are so many great deals online with some great brands - check out some of my favorite sales below! I've already purchased these boots and absolutely love these too. Kate Spade -- did a little bit of Christmas shopping with this sale!